Hope you are all doing well and have had a good day? I have been a busy bee again with lots on at work and double stress with two uni assignments. However, I'm currently planning an exciting getaway.. so at least that will be something for me to look forward too. I haven't long come back from my vacation to Geneva, but it feels like I never went! that's life I guess haha. Today, I wanted to review a candle that both me and my parents have been loving recently. I haven't always been huge on candle's, but the past two years have gone crazy for them. I love how relaxing they are and of course you can pick whatever fragrance you like to mimic your mood. The candle I'm going to be talking about today is super fun and gives off a real feel good holiday kind of scent. I hope you enjoy today's review lovelies and of course don't forget to leave your thoughts and links in the comments section down below. If you need to get hold of me a little quicker then don't hesitate to use my social media! I would definitely say the past few years I have gone Candle crazy and some of my favourites include NEOM, Jo Malone, Laura Mercier and of course Yankee! – The candle I am reviewing today is actually one that I brought for my mum and dad, as they have followed my candle craze! 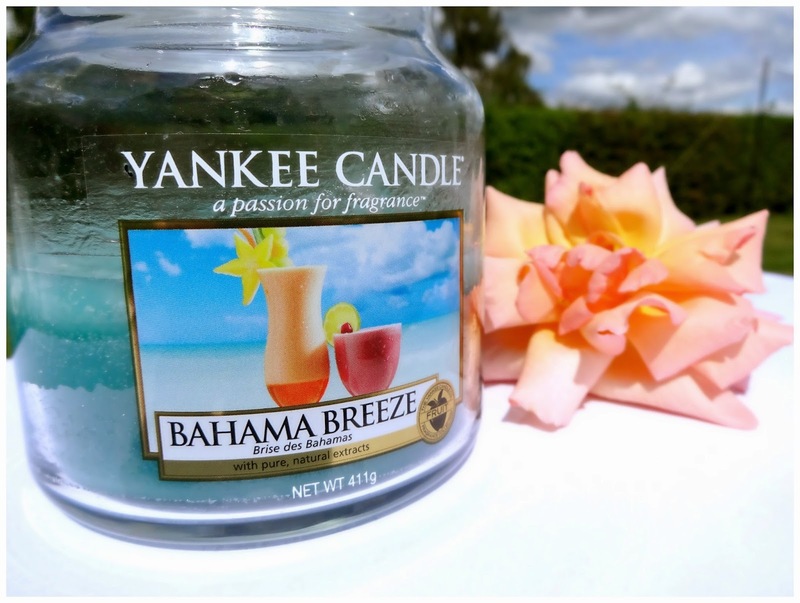 I decided to purchase them a few Yankee Candle’s to add to their collection and their favourite one has been “Bahama Breeze” I purchased them this particular candle as we have enjoyed many holidays as a family in the Bahama’s… so it was a definite must when I seen it online. Its also my mums favourite country and she has many friends over there which she keeps in touch with, so she was over the moon to see this candle! Bahama Breeze is a cool summer scent that mixes an array of tropical blends including, pineapple, grapefruit and juicy mango. If you like fruity/tropical scents you will absolutely love this candle! and the thing I love even more is the fact its not sickly sweet. It kind of reminds me of a cocktail, which is always a good thing to be reminded of ;) The design of the candle is traditional Yankee and I'm sure most of you know they last for absolutely ages. Yankee have such a wide variety of candles that I feel there is something for everyone, plus they make lovely gifts! Do you love Yankee, or will you be treating anyone anytime soon ? i really want this candle now! it sounds fab! I have this one, its the perfect summer smell :) I usually rotate them about depending on season but I found myself looking this one out throughout winter too haha!